Quick back story of my introduction to website hacks: A client’s old website wasn’t kept updated and got hacked. I created a new fresh website on a new host, with new passwords and it was hacked within 24 hours of being live. Needless to say I started researching tons on this and tried out several of the top plugins on the various sites I manage. Did you know: 30,000 websites are hacked daily? (Source: iThemes Security) Yikes! Many small businesses don’t think their site would be valuable to hackers or don’t understand why hackers hack sites. This is a great article by Wordfence (I install their free plugin on all the sites I create) that explains the most common types of hacks and how hackers benefit. WordPress is a popular website platform these days running 24% of all websites (Source: W3Techs) including a number of large brands such as The New Yorker and BBC America (Source: WPBeginner). Because of its popularity WordPress sites can be more appealing to hackers. I still think the benefits (see my article detailing why I use WordPress) far outweigh the risks. Especially because you can take precautions to greatly reduce your risk. The biggest hacking risks come from using a weak login like admin/password as the actual username/password combo and not keeping everything updated. Note: This article is a compilation of my “Lessons learned” and will be a work-in-progress. I’ll continue to update it as I learn more about the ever-changing world of WordPress website security. Sadly easy to remember = likely to be hacked. You can use a formula where you use certain variables based on the website if you want to be able to remember it, but your best chance of keeping hackers from guessing your password is to make it long, complicated, and different. There are password generators out there too if you need help. “Robots” will keep trying different passwords based on algorithms of the most commonly used passwords. 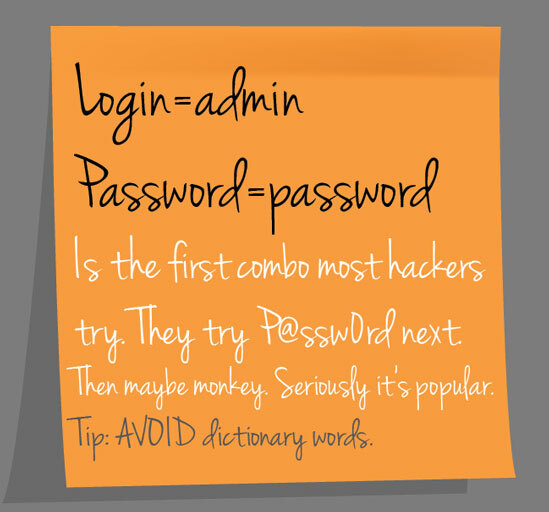 Did you know “password” and variations like “p@$$word” are the first ones they try? They usually try most words in the dictionary. “Monkey” is used in a lot of passwords too. The hackers are smart and know all of this. If you’re curious about the most popular passwords to avoid and techniques hackers might use, check out this wiki-how article. Most website hackers are setting up automated rules to work through common username/password combos, some do use more sophisticated techniques though. Back up first, then update WordPress as soon as they release updates, especially security based ones. Out of date plugins and themes are equally vulnerable. Plugins like Wordfence will email you as soon as they notice anything is out of date. It’s best to delete any extra themes and plugins that you aren’t using too. You can limit the number of login attempts, which helps but may not stop a brute force attempt. It will at least slow down the hacking attempt. 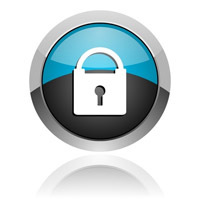 Many people now favor 2-factor authentication. I’m not using it personally, but many experts do. Some people even hide the login page. You get what you pay for and sometimes free themes and plugins aren’t well designed. This could affect a number of factors, but most importantly they could have security holes. Also you want a company or individual who will be responsive and work promptly to create updates if security risks are identified. Everyone has an opinion on the best hosting companies for WordPress websites. For every host that I’ve heard a rave review about, I’ve also heard awful complaints. Most of the more budget friendly ones aren’t perfect, but there are some that have better security measures on their end than others. There’s always a chance when you are on a shared server (aka more budget-friendly) that your site could be at risk if another site being hosted on that server gets hacked, but I don’t think that’s overly common.